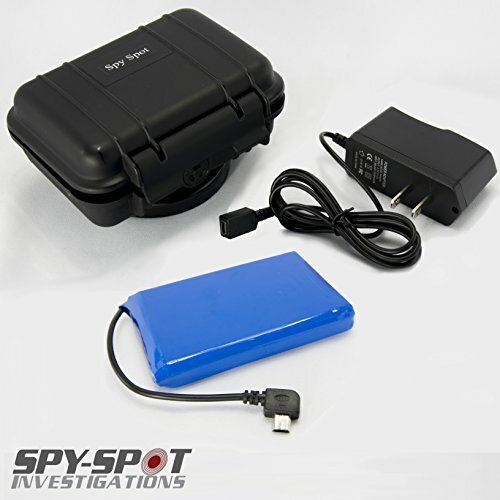 The SpySpot Extended Battery for the TT8850 Micro Tracker Miniature GPS GL 200 / GL 300 will extend the battery life of your GPS to up to a couple months and features a strong magnet on the bottom of the case. The extended battery weatherproof magnetic case includes a wall charger to recharge the battery. (GPS Tracker Not Included). Battery life will depend on motion, location, and interval. Very compact: 5.43″ x 4.06″ x 2.12"
If you have any questions about this product by SpySpotGPS, contact us by completing and submitting the form below. If you are looking for a specif part number, please include it with your message.